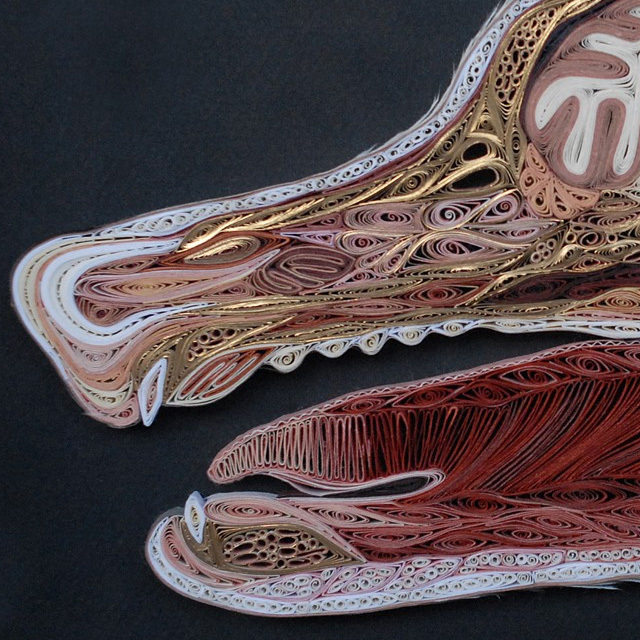 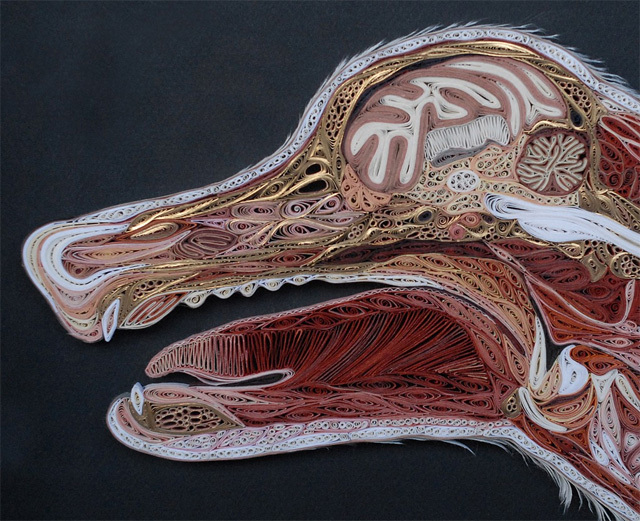 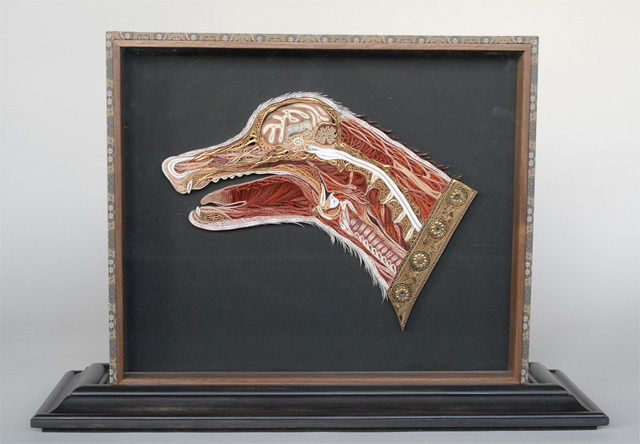 Lisa Nilsson , a quilling paper craft artist (previous) recently complete another set of stunning anatomical Cross-Sections piece with Japanese mulberry paper and the gilded edges of old books . 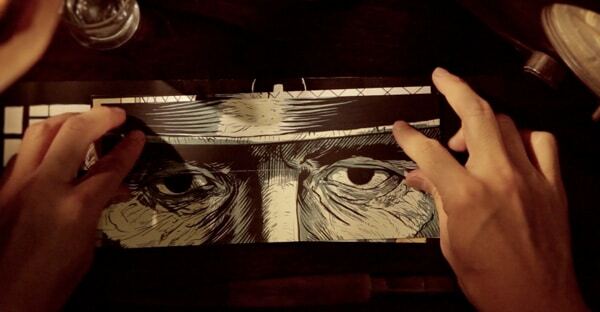 This short film combines Origami, Kirigami, Time lapse, nankin illustration, Comic Books and Western Cinema. 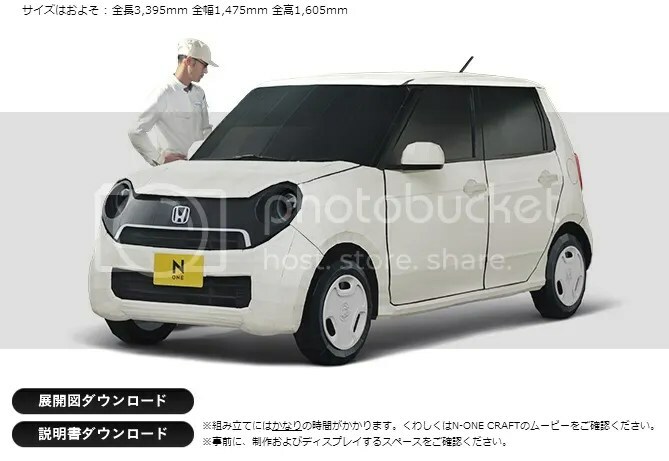 To advertise Honda’s new model N-one’s debut on Nov 1st they made a 1:1 full scale out of cardboard and papers for their commercial . 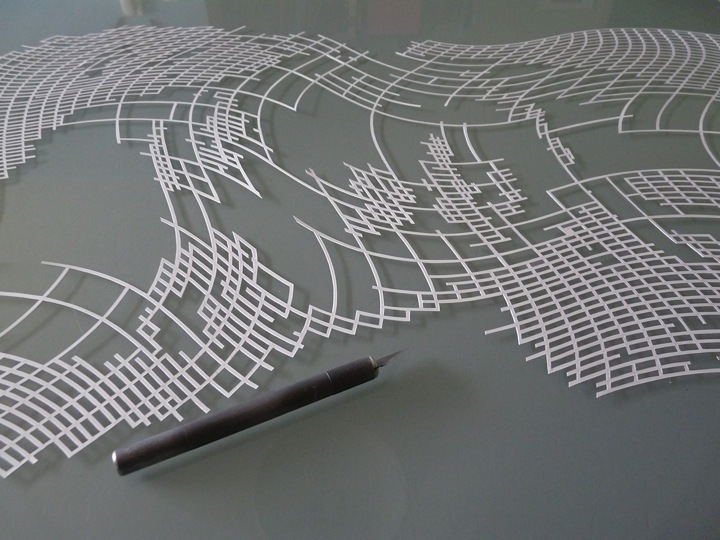 You can download 1/1 and 1/9 scale paper craft files in Honda’s homepage and try to build your own . 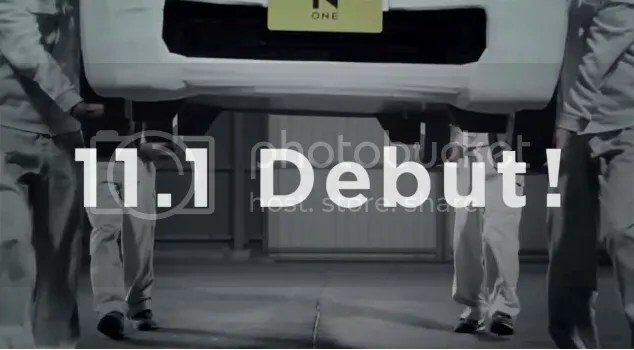 Ghettoblaster is a promo for the International Radio Festival in Zurich featured by Mini Schweiz , created by German artist Bartek Elsner (homepage). 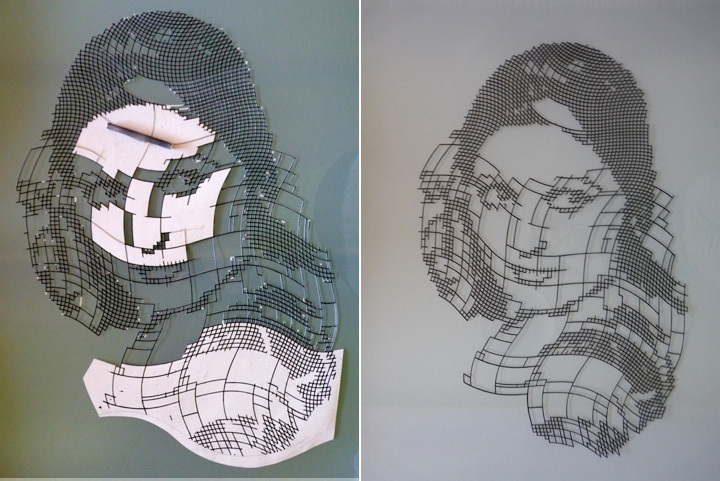 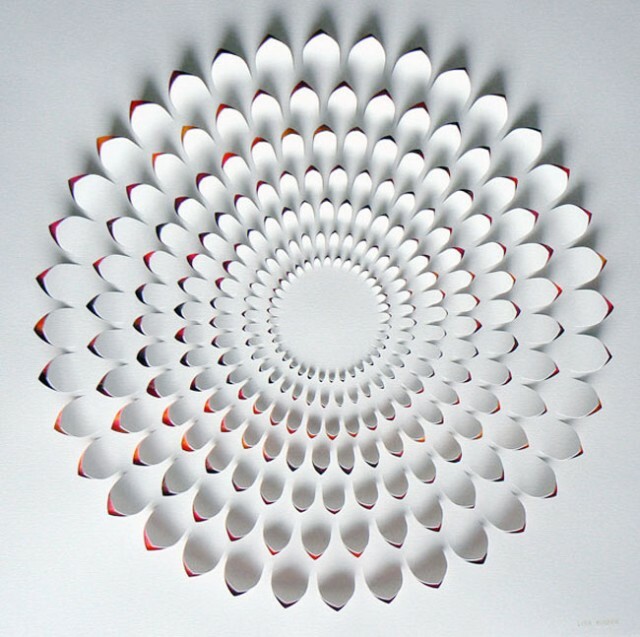 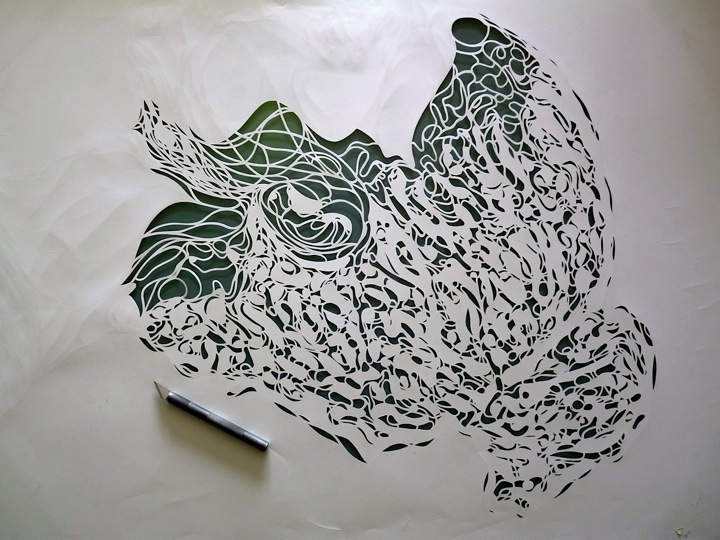 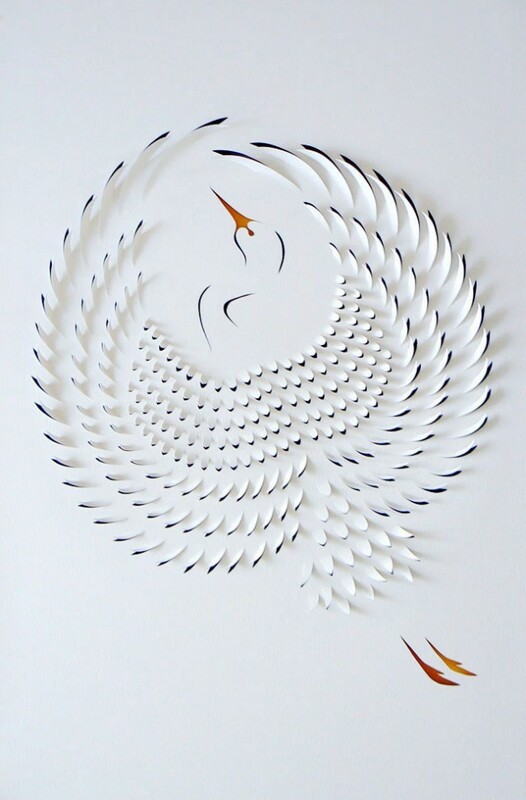 Incredible cut paper art by Canadian artist Calvin Nicholls who have been paper sculpture artist since the mid 1980’s. 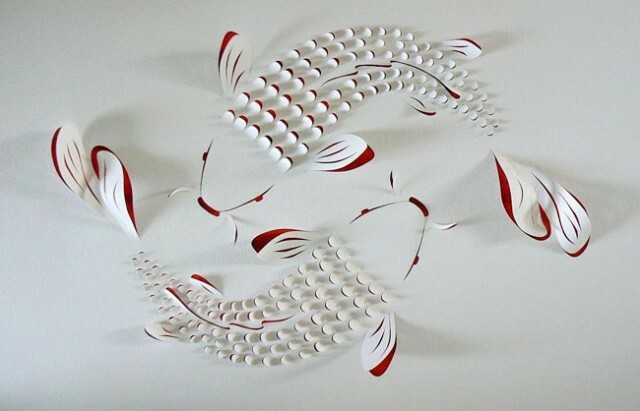 Jeff Nishinaka, a premier paper sculptor from Los Angeles. 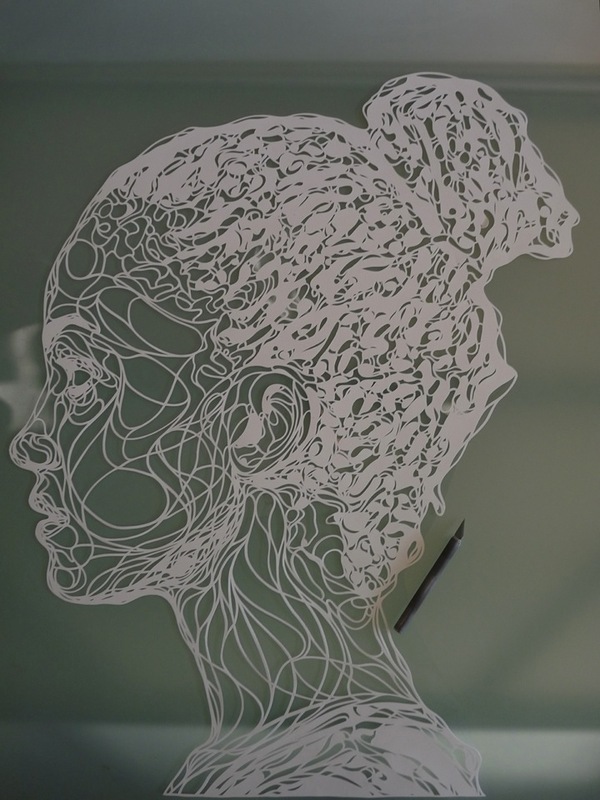 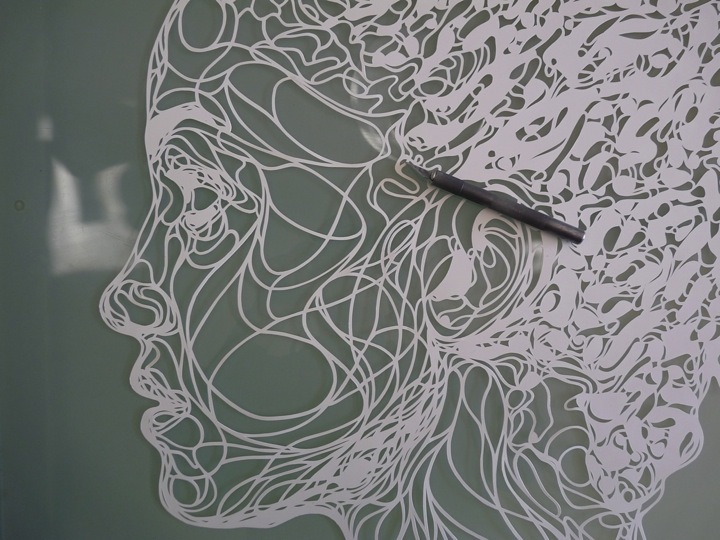 Using nothing more than white paper, glue and a sharp knife, he creates unbelievably intriguing sculptures . 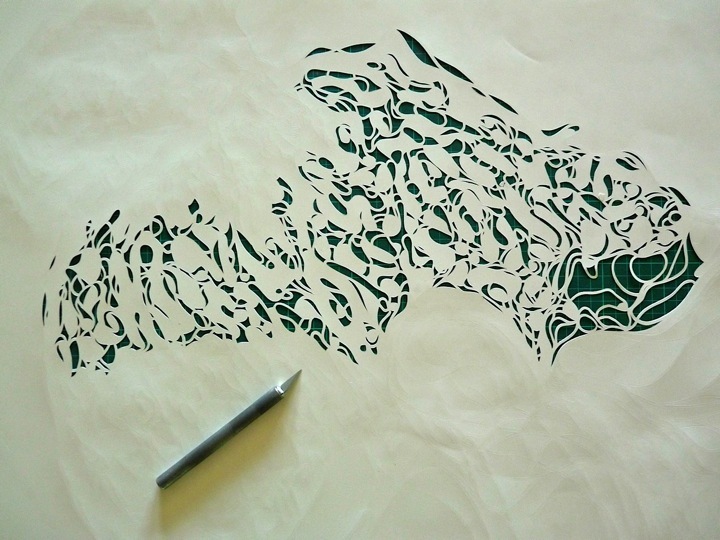 His work appears to have been created definitely of something other than “just” paper. 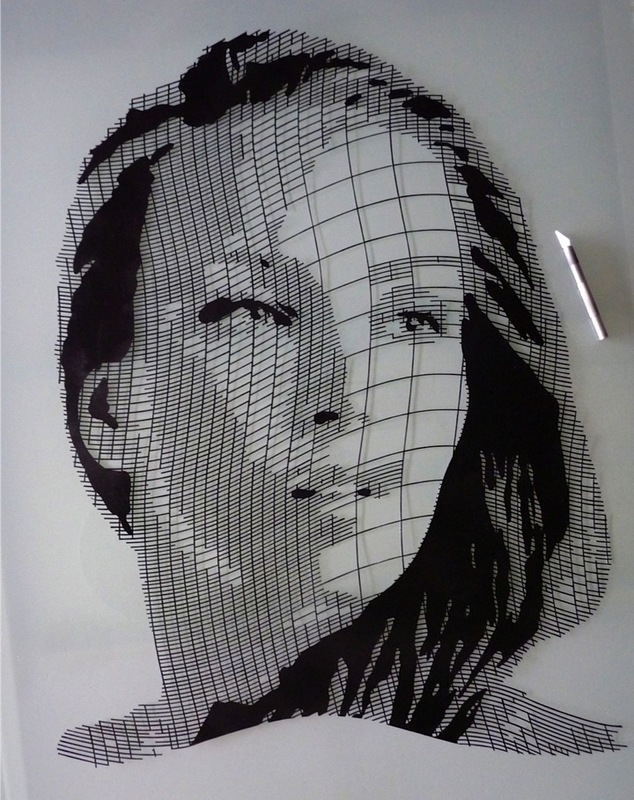 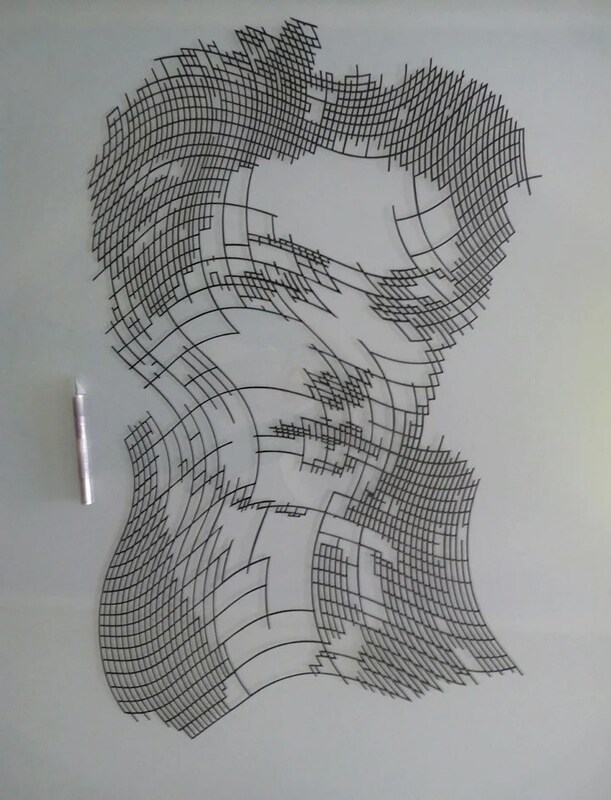 Kris Trappeniers is a stencil artist from Belgium whose work is comprised of detailed large-scale portraits made with only the use of a scalpel and single sheet of paper. 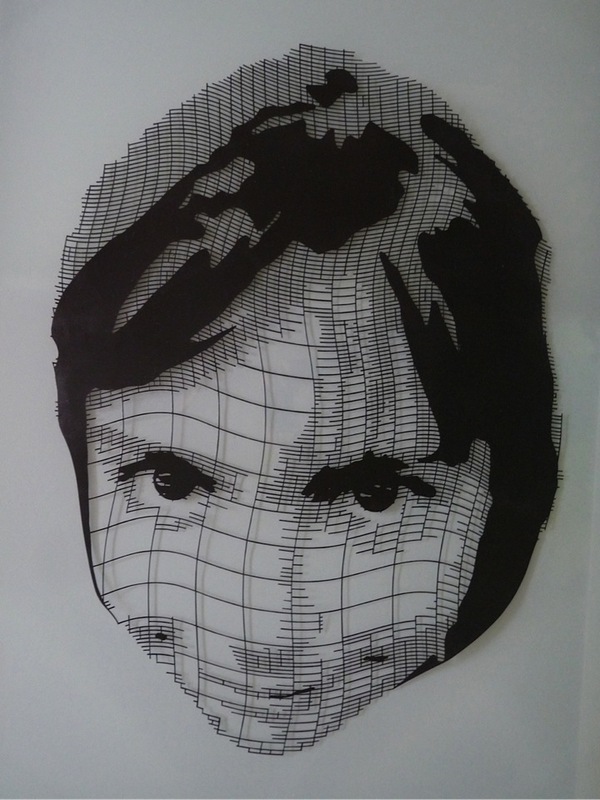 He first composes his pieces by starting with a loosely drawn portrait of his subject in pencil or pen. 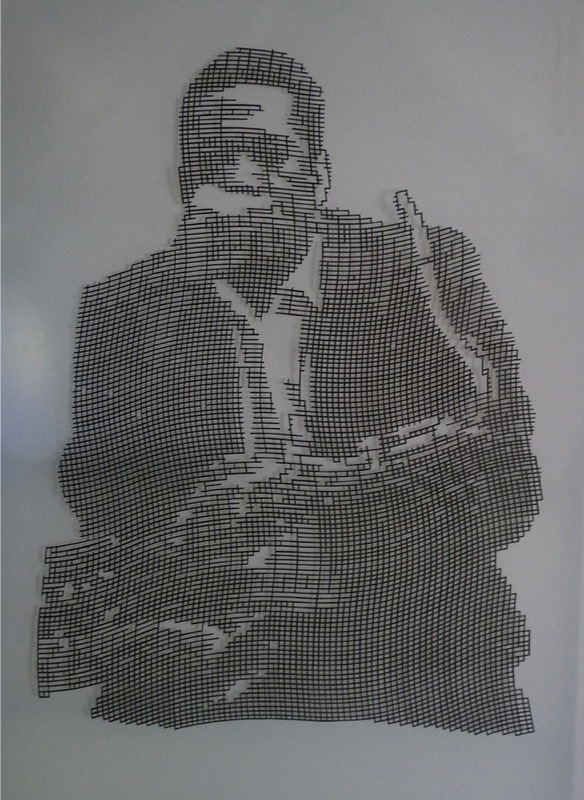 They are then cut by hand with an x-acto knife and later spray painted to produce what is shown here. 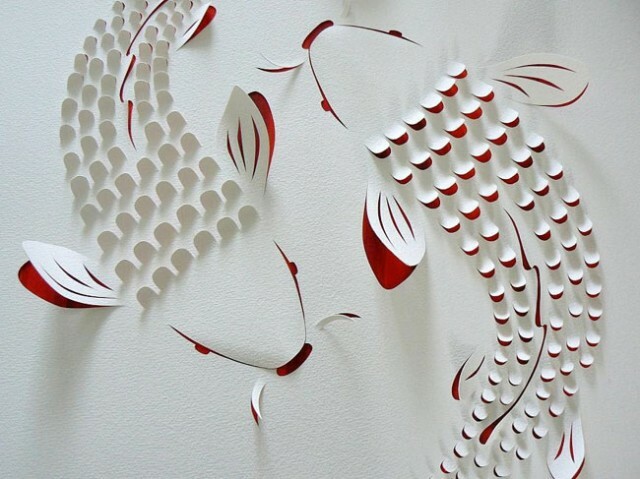 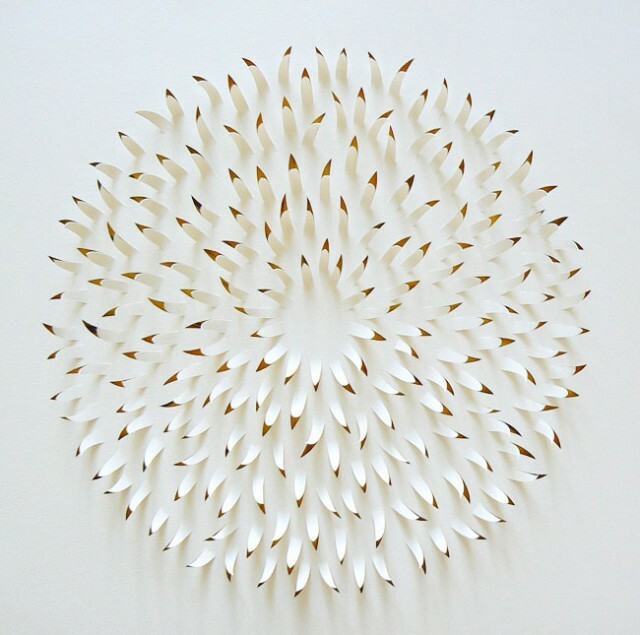 Paper work by Australia artist Lisa Rodden. 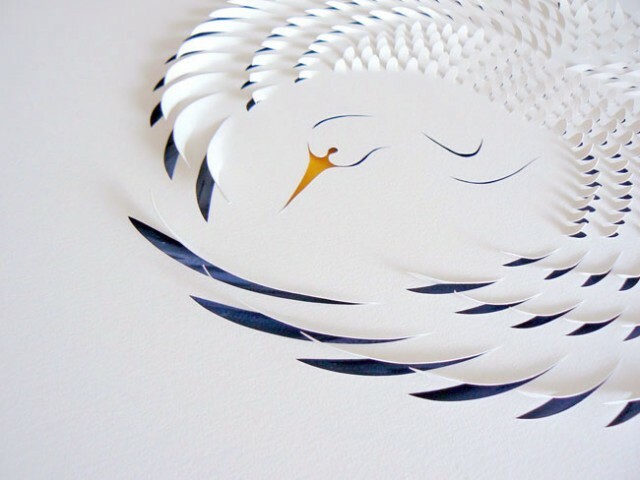 Lisa creates delicate and detailed hand cut paper art by slicing, layering, painting and folding to create truly unique 3 dimensional wonders with a chameleon quality. 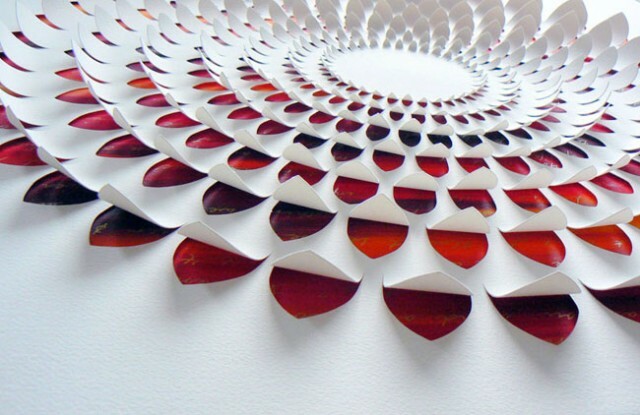 Shadows and colours appear and disappear as the viewer moves around the work, creating an intriguing feeling of a living piece of art.